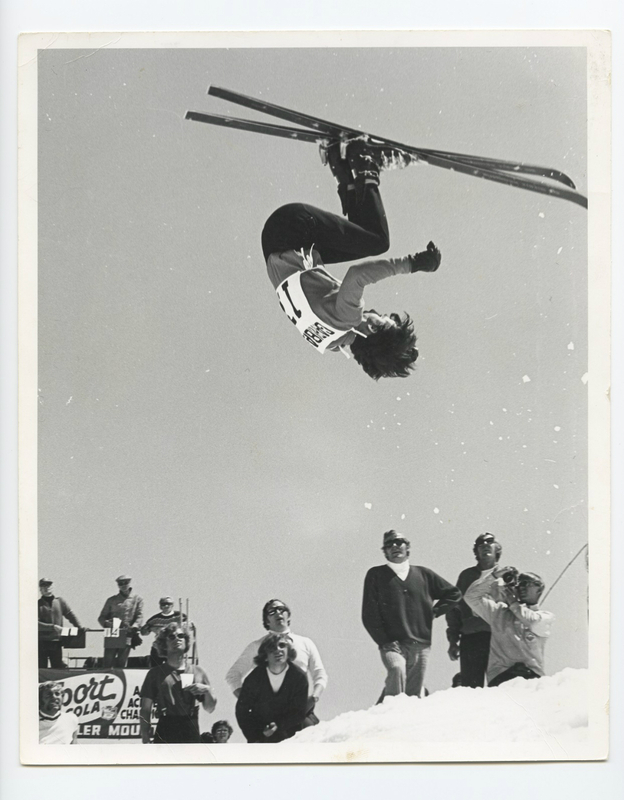 Skier flipping during a ski competition on Whistler Mountain in the 1970s. 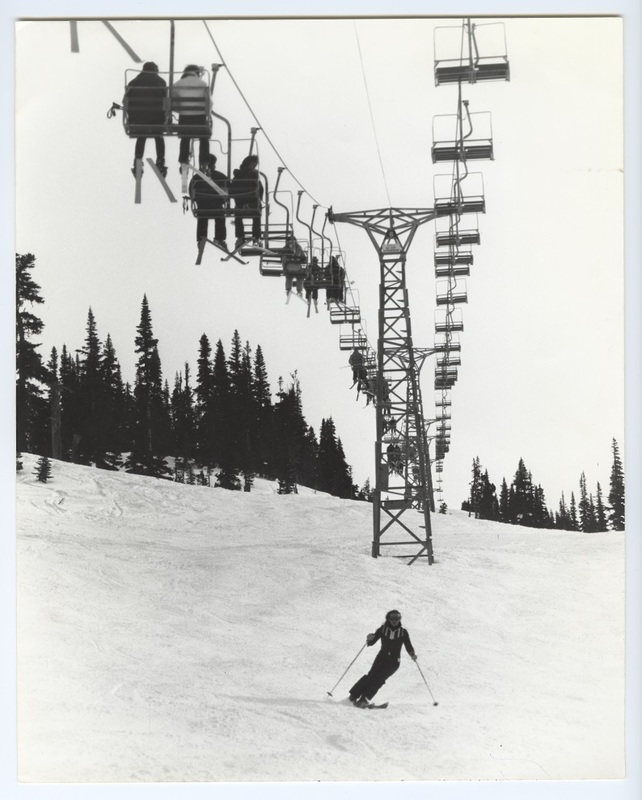 Photo of a skier beneath the Red Chair on Whistler Mountain, likely taken in the 1970s. 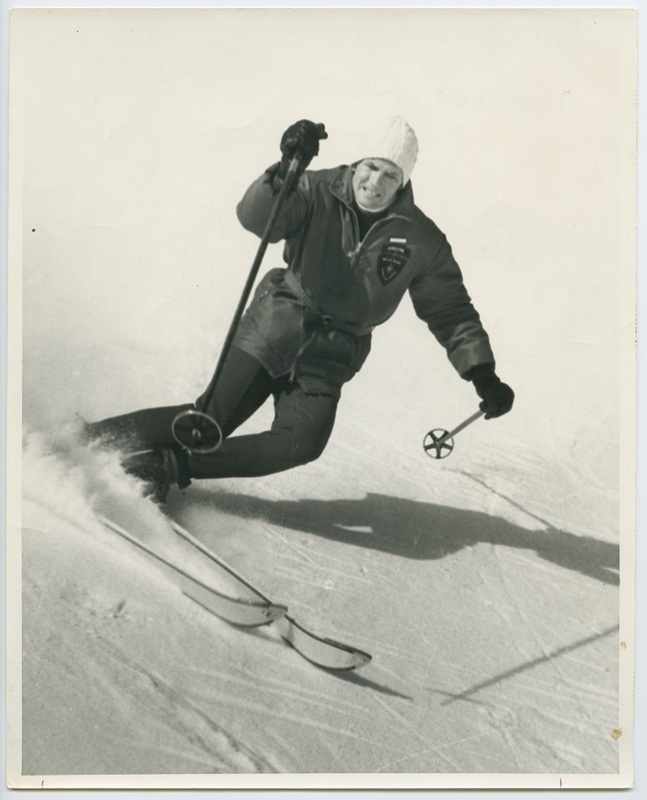 Ski patrol member skiing, likely taken in the late 1960s and 1970s. 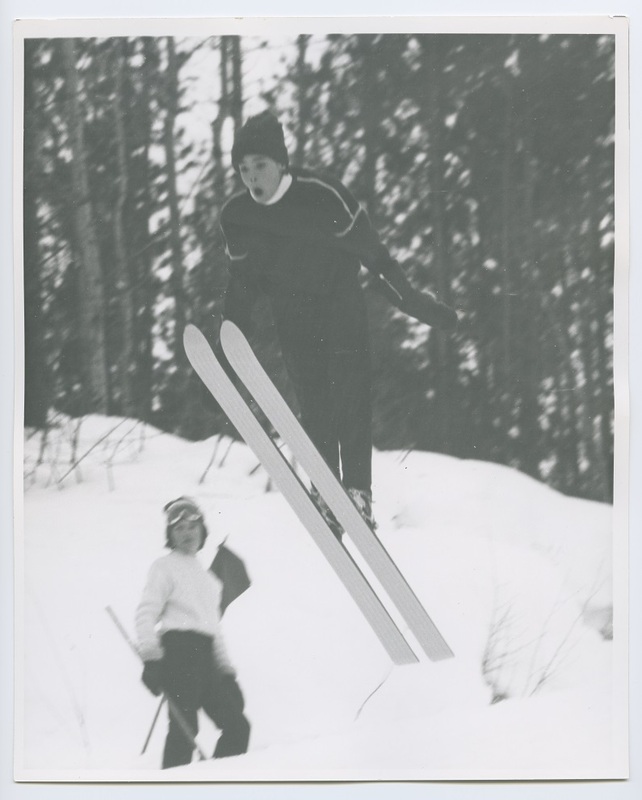 Woman ski jumping in the 1970s. 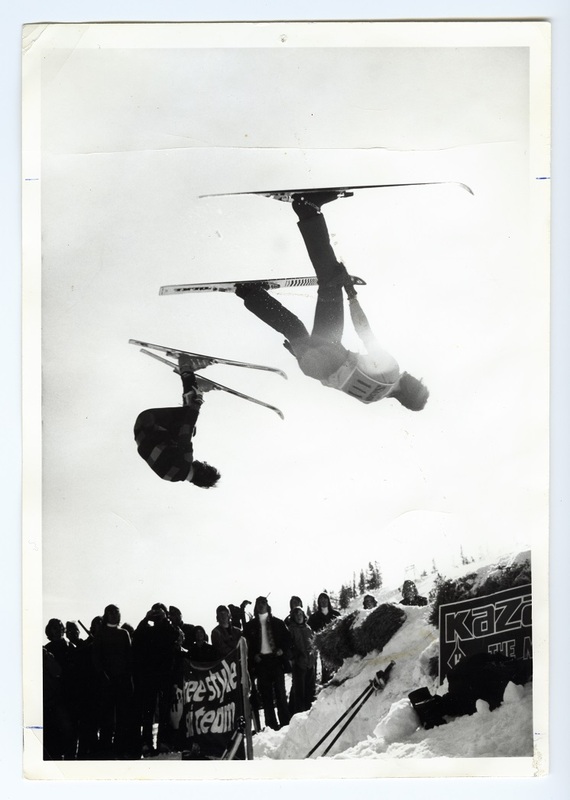 Two freestyle skiers flipping in tandem during a competition, likely taken in the 1970s or early 1980s. 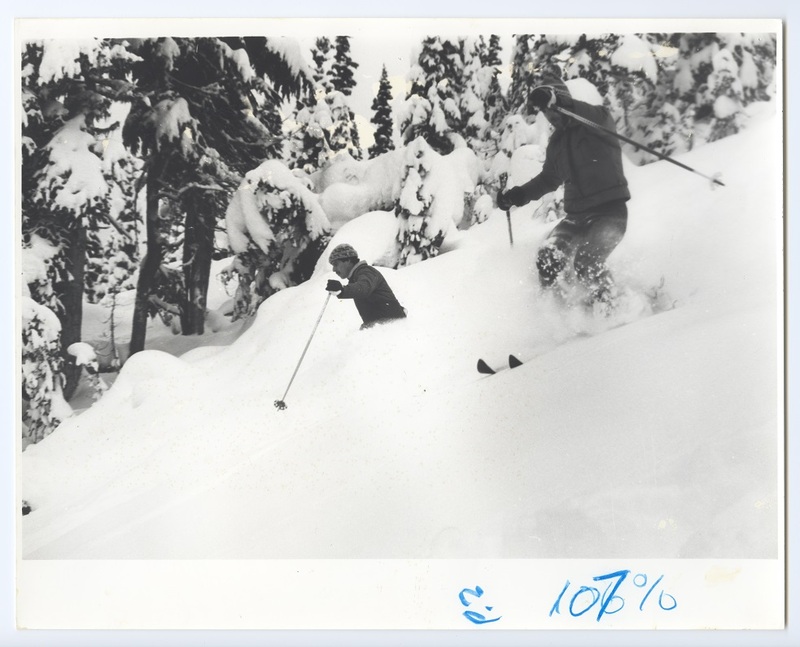 Whistler Mountain Manager Jack-Bright skiing with Jim-McConkey (right). 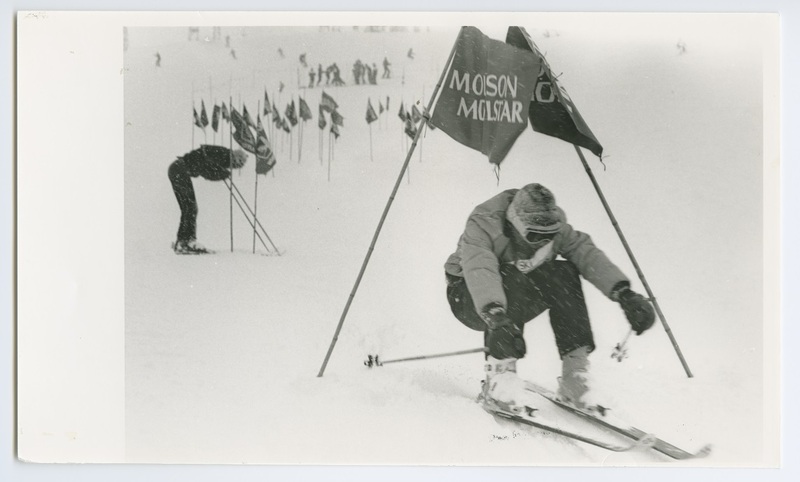 Molson Molstar ski race on Whistler Mountain, likely taken in the 1970s or early 1980s. 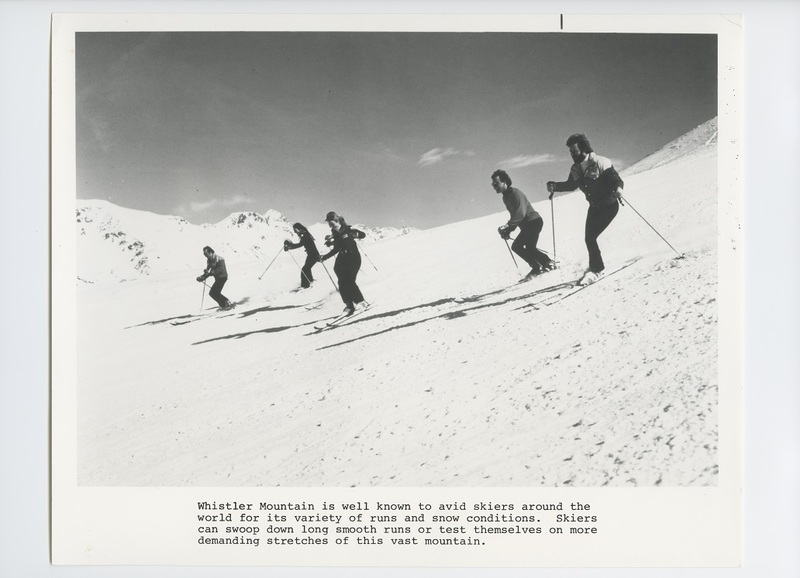 A group of skiers on Whistler Mountain in the 1970s. 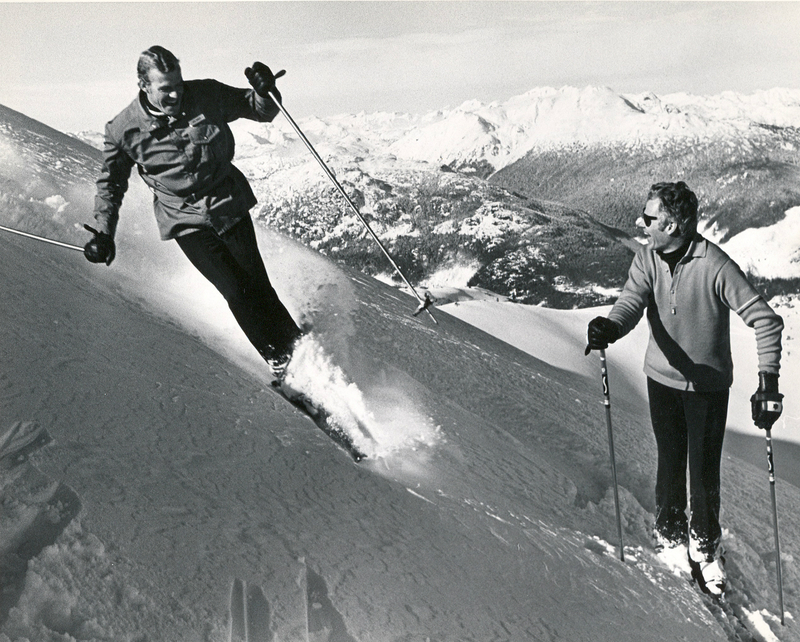 Photo of two skiers on Whistler Mountain, taken in the 1970s. 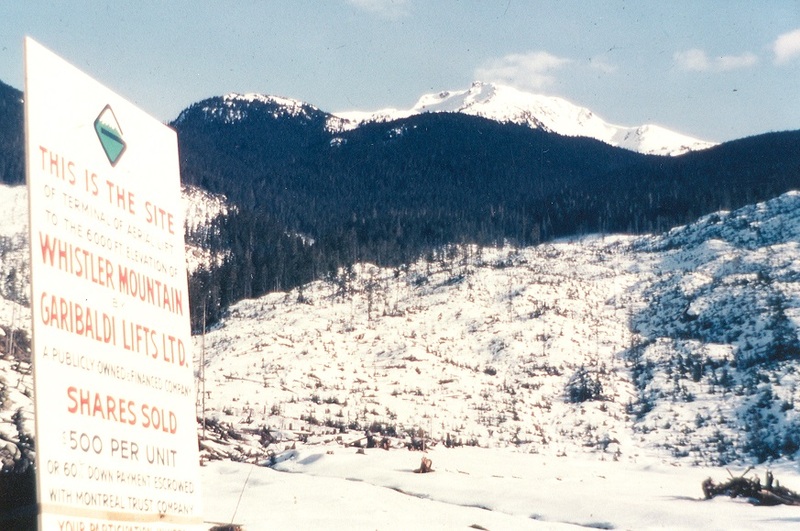 The original Red Chair on Whistler Mountain (built in 1965) with views of Blackcomb in the background. Photo from late sixties or early seventies. 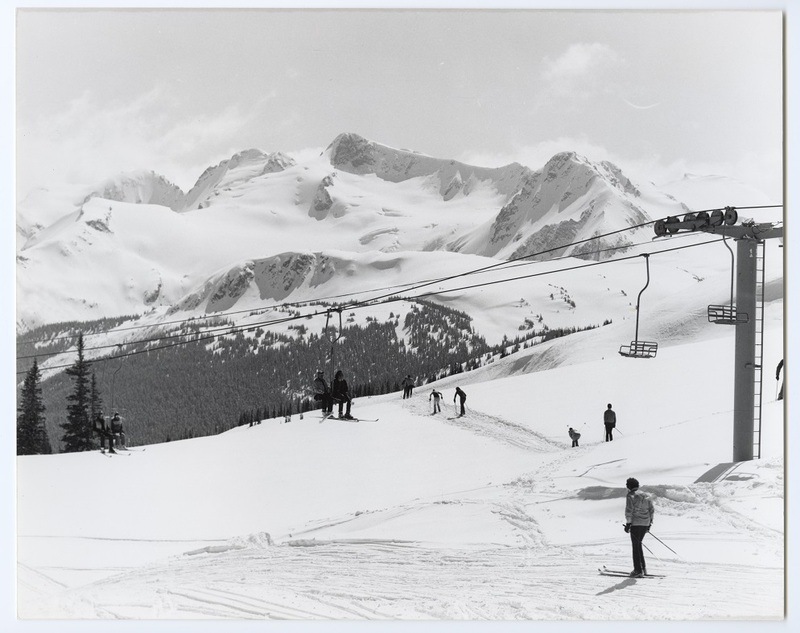 Whistler Mountain’s Alpine T-bar, photo taken in late 1960s or 1970s. 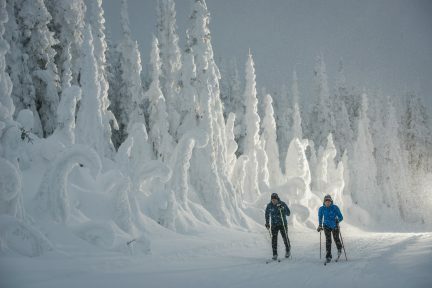 Established in 1966 by two businessmen with the hopes of an Olympic bid here in Vancouver, Whistler has quite easily become the most well-known ski destination on the West Coast. Conveniently located in Vancouver’s backyard, Whistler’s presence affirms the more boastful of Vancouver truisms: that you can ski, swim, and golf all in a single day. Now established as a true international destination with gondolas whisking visitors up and down and side to side, it’s difficult to imagine a time when amenities were limited to a can of beer and a lawn chair. 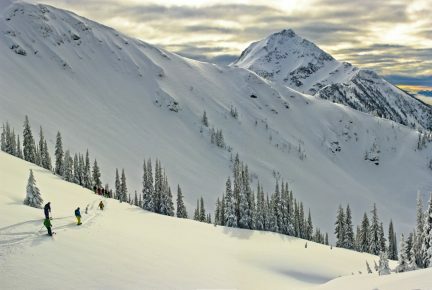 Central to the mountain’s rather unlikely and quick assent to the top was the competition fostered between the original Whistler Mountain and 1980s new kid on the block, Blackcomb. With an eye fastidiously focused on the new wave of outdoor sports—snowboarding, freestyle skiing—Blackcomb gave Whistler a quite literal run for its money. 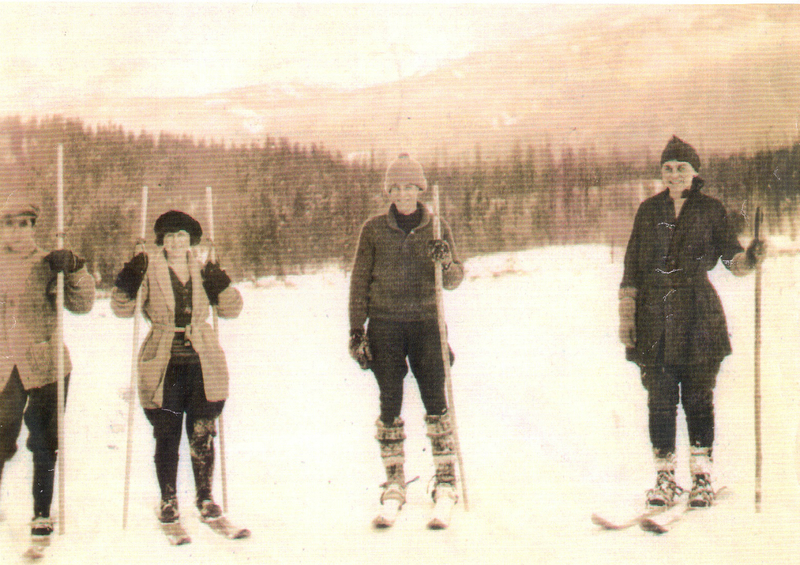 “To be honest, when Blackcomb opened we were always one step behind,” says Dufor, who remained with the original Whistler. “We were always playing catch-up, and then they would come up with something the next year. 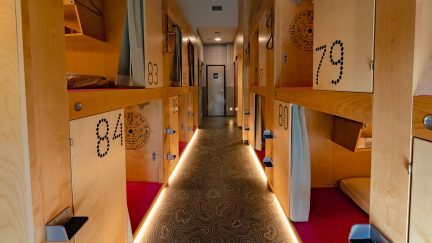 The guests really benefitted from the competition.” With very little capital during the recession of the early eighties, each mountain had to get creative. 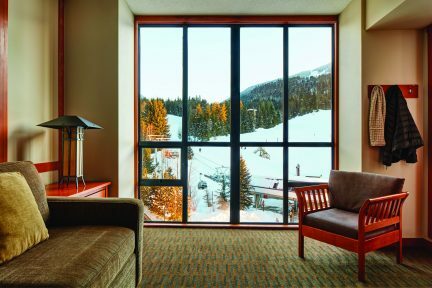 When Blackcomb installed a T-bar, Whistler responded with the purchase of a used triple chair. 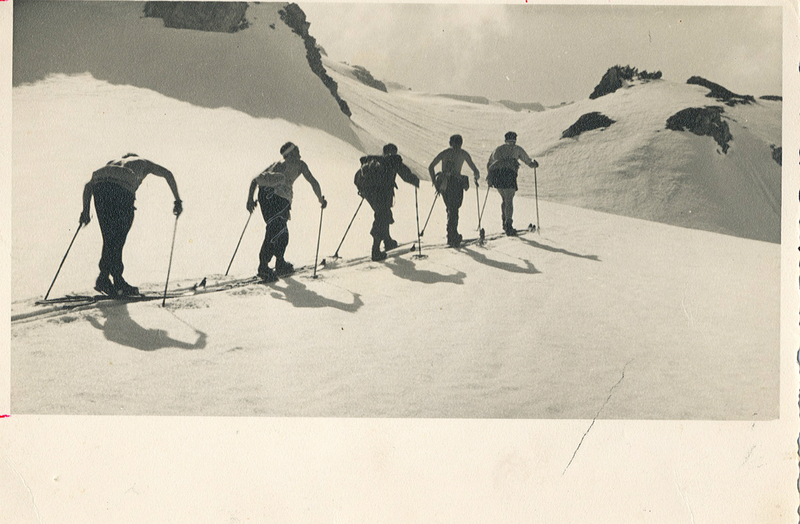 One mountain would sell tickets at grocery stores, and the other would run to 7-11. 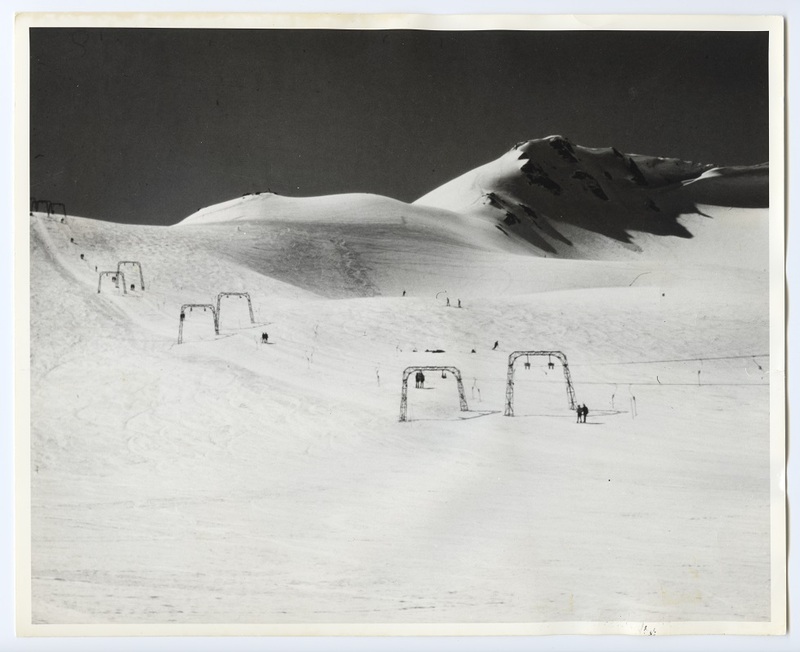 Photos courtesy of the Whistler Museum.